First published on TAWKA blog. “The Africa We Know About.” TAWKA DiARiES is an African [lifestyle] blog that chronicles African experience within and outside of literature. Religion is a conspiracy. It is a conspiracy in which whatever man finds difficult or inconvenient to accept or believe, he pushes to the recycle bin. Since time immemorial we do not choose which church to go or religion to belong to – it has been handed over to us from generation to generation, and we are obligated to do the same (force down the throats of our children that which folks thought better for us without questioning). We are blank tablets when we are born- tabula rasa, but slowly the age-old conspiracy starts being written on our minds. We are taught how to love and hate like humans do, and end up confused that there is a God who sends some people to hell and others to heaven. Heaven and hell are all motivators. Dante Alighieri’s Divine Comedy shows this. This was in 1300s. In the first book, Inferno, Dante creates a visceral, palpable and unforgettable terrifying vision of hell. Who wouldn’t fear when such horror is created in them? And just for (dramatic) effect, paradise is brought in to motivate people to prepare for a delusional comfort zone. End result? A confused people. Spirituality, and religion, has been over-commercialized and churches turned business ventures (and it’s booming). Funny how many people are paying while the neighbour next door is starving to death! Whatever happened to the God of love who wants us to love our neighbours as we love ourselves? 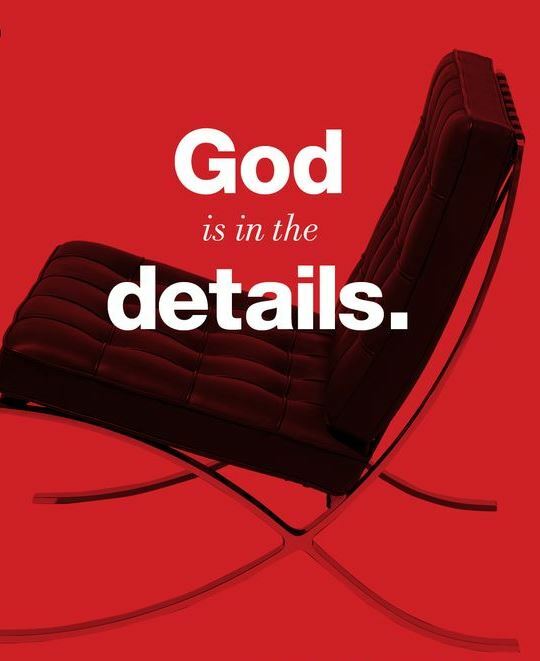 God is in the details we don’t want to question. Many a people live in a cave forever, they never see the light. Such light is cast by the lost symbol– knowledge. We find ourselves combating an epidemic of blames as Christians blame global terrorism on Muslims, while Muslims are taught to fight those who fight them in the name of Allah (Quran Surah 2:113, 9:36), because most of them follow nothing but conjecture (Surah 10:36). Jews say that they are the chosen people, while lessons from the Supreme Buddha tell otherwise; Hindus with their plethora of gods do worship (in their own ways), yet a Christian comes up saying that one would not go to heaven unless through Jesus. Africans, said John Mbiti – Kenyan philosopher and theologian – are notoriously religious. It does not matter their God lives on trees, on top of mountains or at rivers. African God is powerful, wrathful, protecting and great. The West came along with a story of a God who lives in a European heaven and has a son that all people must worship in order to go to heaven. The time tested beliefs of our people ended with the brunt of barbarism, uncouth and uncivilized. All what we have today in the world is confusion in search of a simple God who once stopped the sun at noon, who once fed starving Jews with manna. A South African pastor earlier this year told his congregation to eat grass to be closer to God. They did. Now they are drinking petrol, and aren’t they gulping it? In Kenya, for God to bless you you have to plant a seed through the revolutionary mobile phone money transfer system, M-pesa. In the name of religion Al-Shabaab and Boko Haram adherents are on a killing spree because they were promised an eternal supply of virgins. Such, and more, stories of a confusing God abound. Who then will end up in hell and others in heaven? Look in the details and see there is no God who will confuse people that much; refuse to believe there’s a God somewhere who’ll send some to hell and others to heaven.